Shuri Hana Ori is a float weave structure that originated in Shuri, the capitol of the Ryukyu Kingdom, during the Ryukyu Kingdom period (15 – 19th century). Shuri is located on Okinawa Island, Japan. Hana means “flower” and “ori” means weaving in Japanese, therefore Shuri Hana Ori (or, Hana Ui in Ryukyuan language) is essentially the “weaving of flowers”. 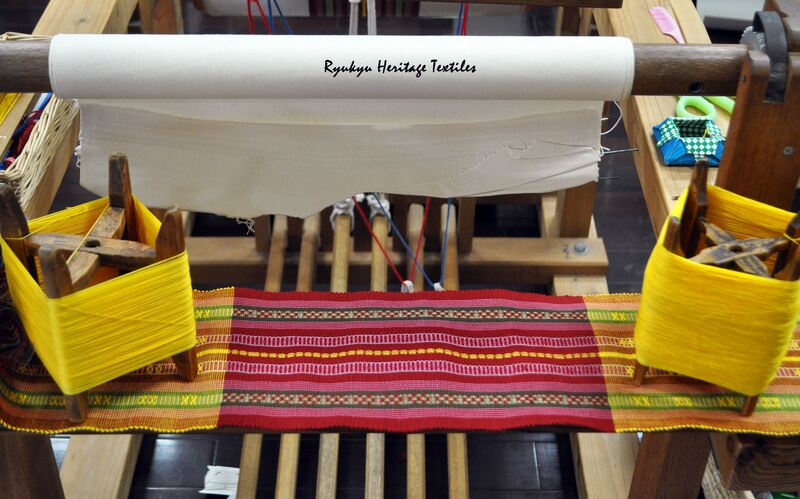 Shuri Hana Ori fabrics were historically woven with Ito Basho (banana fiber) or silk threads. 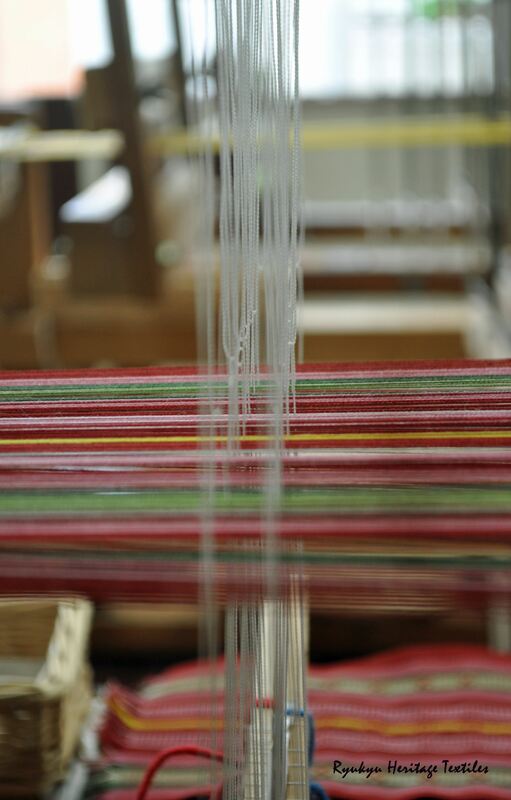 However, the designs may be woven with cotton and other fibers as well. Shuri Hana Ori float weave pattern designs vary from simple to complex–it is the weaver’s choice. 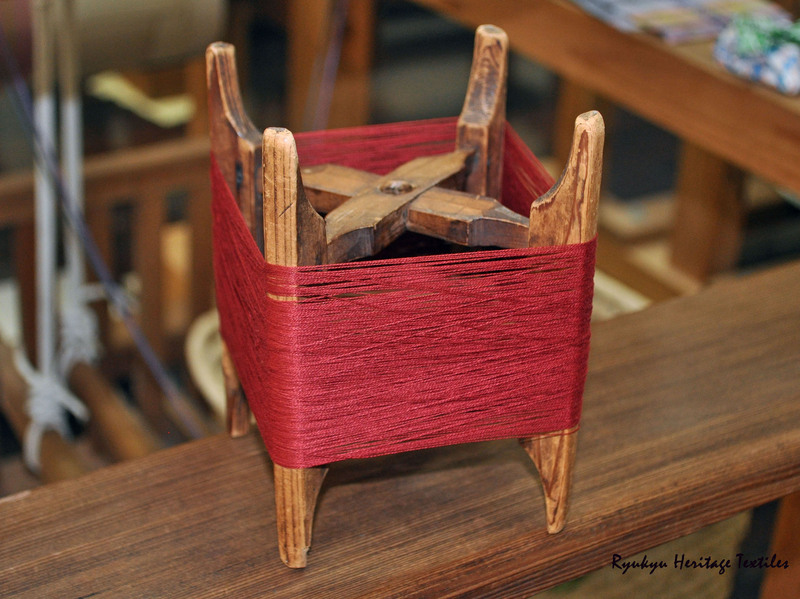 The float designs are woven via supplemental handmade pattern heddles attached to handmade heddle sticks/frames on the Okinawan High Loom, a counterbalance loom. 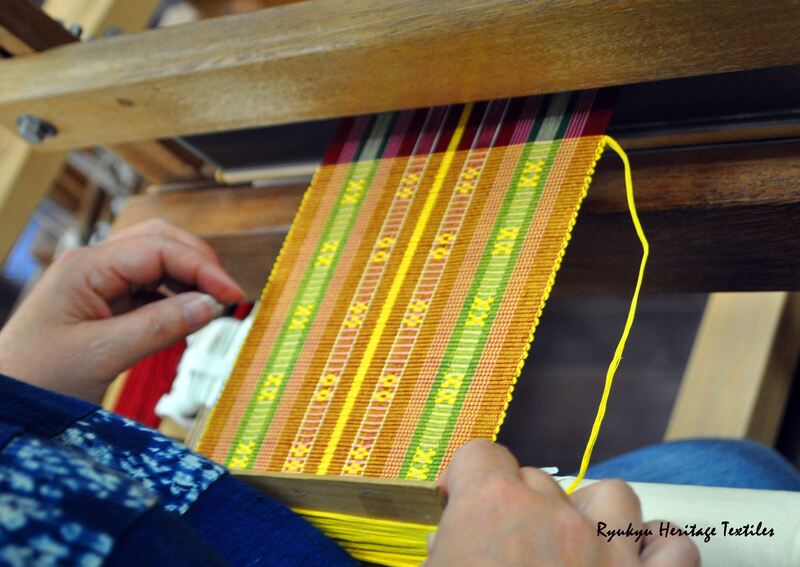 I enjoy the freedom of weaving and designing Shuri Hana Ori fabrics on-the-fly. The double-faced float designs derived from plain weave make Shuri Hana Ori a versatile fabric. 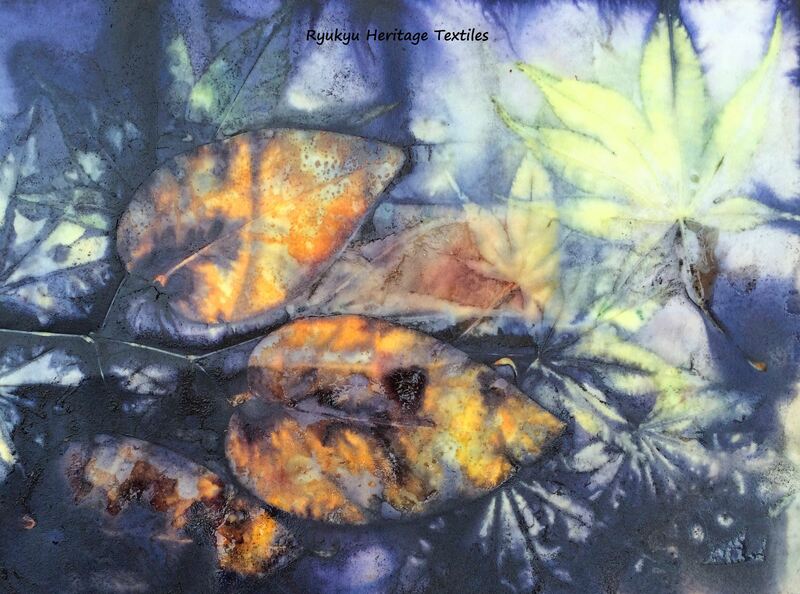 Each side of the reversible fabric has its own character. 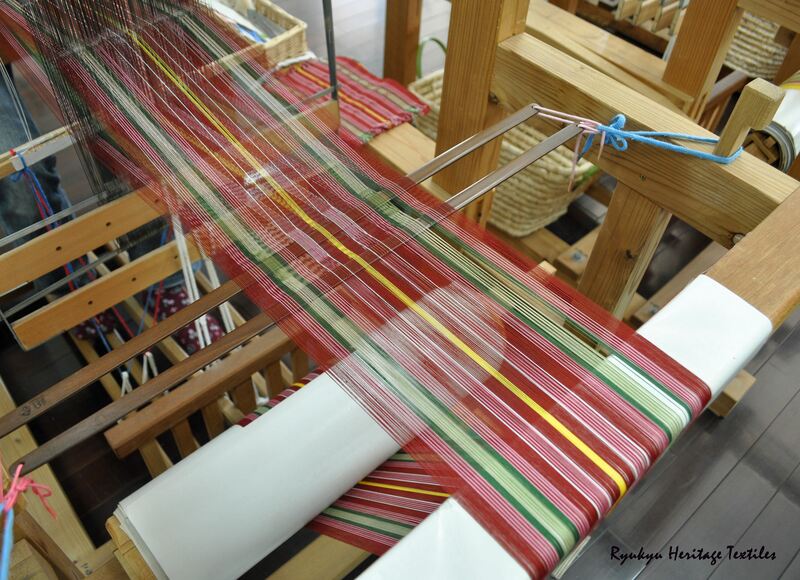 The floating pattern on the front of the fabric is weft-faced and has the color of the weft threads whereas the pattern at the exact same place on the underside of the cloth is warp-faced and has the color of the warp threads. Interesting article and site so, I shared it around on the social networks, for you. Keep up the great work !